The gift-y part of the holiday season may be over...but there are still 2 big gifts under the tree - to you - from me! It's my year end book round-up, and I have some terrific books to share. I wrote up my fave fictions and non-fictions separately, cause I like to have lots of gifts to give. Something about all the wrapping paper and anticipation. I did some pretty solid reading this year - I'm at 105 books. Next year, I promise I will publish the whole list, but I wasn't technologically astute this year and thus, giving you my favorites will have to do. I am pleased, though, that I managed to read 63 books by women - last year, the vast majority of the books I read were written by men, and although I thought about making women writers a priority for the year, I didn't consciously choose women over men - I just read what looked the most interesting. And voila! Women appeared all over my book list. I'll be honest: I picked this book as my favorite long before the end of the year. I read it way back in March, and before I'd even finished it, I just couldn't imagine another book coming along to knock it from its new perch. It's amusing, provocative, thoughtful, and adorably quirky. It offers optimism in the face of grief and cheer right alongside dismay and disillusionment. It has a GenX soul - jaded but always hopeful, even so. As far as the plot goes, Mastai's screenwriting background makes itself known: there's an insistent but subtle (well, sometimes totally not at all subtle) flair for the dramatic and the pulse of a movie thrums along under the muscle and bone of the story, which is a wildly original one: a young guy living in a world that has figured out all of the world's energy problems with the invention of a single device winds up in an alternate timeline where the device - and a lot of other things - didn't wind up being what it was in his original experience. 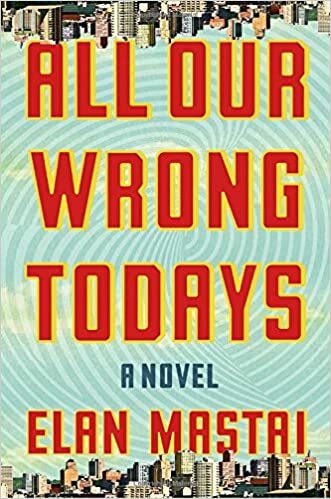 Time travel, love affairs, families made and remade, and plenty of shenanigans add up to the best book I read this year. It figures that Mastai is a Canadian, since I've had Canada envy all year. 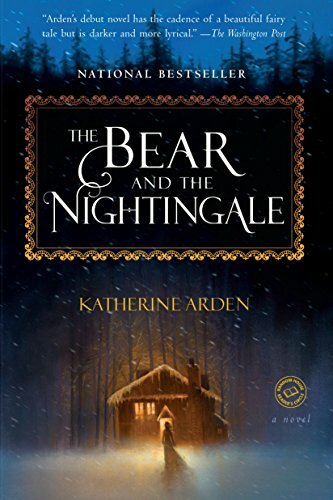 Katherine Arden may not be a household name yet, but if your house is full of interesting and vivid stories told in such a way that your bones hurt when you stand up to get a drink because you've been sitting for several hours without moving anything but your fingertips and your brain, she should be. Arden does what she really should not: she tells us the story before she tells us the story. That is, she gives us a Russian folktale around the fire...and then brings that story to life in the novel that unfolds and follows. And it works! Her vision of the tale brought to life is eerie, magical, and deeply chilling. It's the perfect read for a winter's night...and the sequel has just arrived, so you can read Arden around the family fire for a number of nights to come. 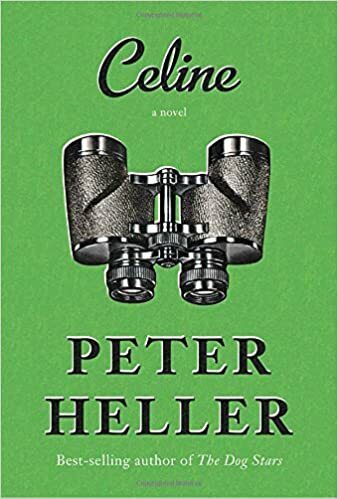 Peter Heller's Celine reassured me that he is around for the long haul. I read The Dog Stars several years ago and loved it, but couldn't get into his next book at all, which threw me into a small but very real tide pool of literary despair. Was he a one-hit wonder? Simply put: no. Celine explores the boundaries of familial love, the long arm of the law, and the ways in which even those closest to us remain unknown. The protagonist, for whom the book is named, smacked down my doubt and won my heart with her brave yet refined behavior, her crystal-clear intellect, and her ability to stay cool no matter what the situation. This book made me giddy and relaxed at once; I hope Celine returns in a future novel, because she deserves it. We all deserve it! This one has been trumpeted for months - but it's worth the hype. 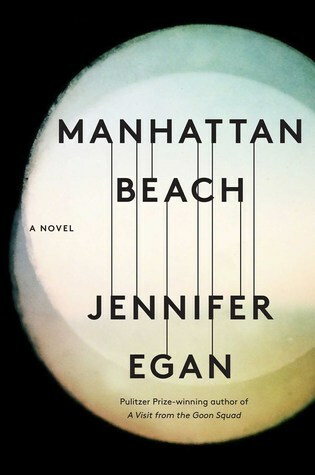 Egan expertly weaves a sophisticated coming-of-age during World War II tale that isn't only about the war. Her characters could walk right off the page. My only quibble is with the ending, but her commitment to a plausible reality makes her choice necessary. One of the most absorbing blockbusters of the year, surely. I've been a huge fan of contemporary dystopian fiction for years, but I slowed my pace this year due to the dystopia of reality. I couldn't resist Carrasco, however. 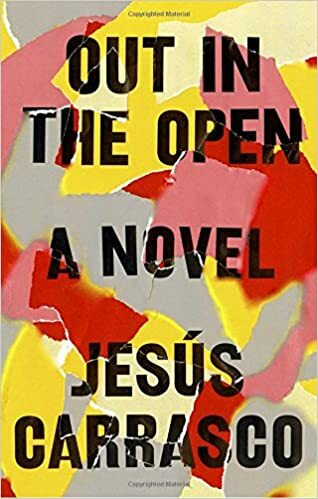 His ability to create a parched, alien - and yet familiar - environment impressed me; I also appreciated the role of religion in this vision of an unbearable future. An extremely powerful debut from Spain.